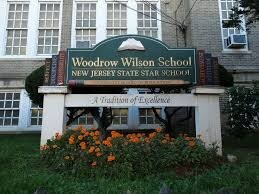 Woodrow Wilson Elementary School has been ranked as the seventh-highest achieving public school in New Jersey, according to a recent study compiled by the State of New Jersey. The school received a score of 95.3% out of 100, and overall placed in the very top percentile (100%) of more than 2,200 public schools in the state. Home to the school district’s gifted and Talented Program, Woodrow Wilson has won numerous state and federal education awards, including a very prestigious 2014 Blue Ribbon School award from the United States Department of Education. The new state rankings were based upon the new Federal Every Student Succeeds Act, which replaced the No Child Left Behind Act.